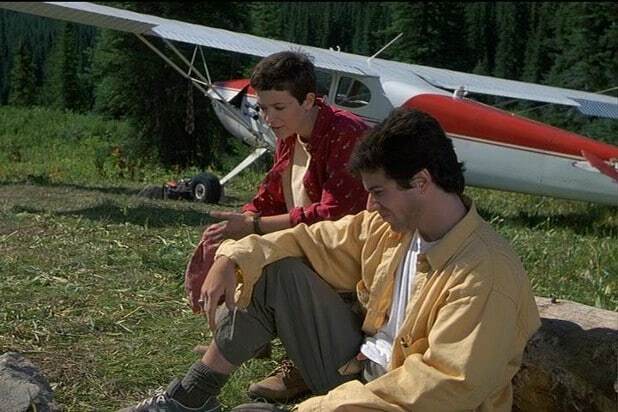 "Northern Exposure"It wasn't as creepy as "Twin Peaks" -- far from it -- but "Northern Exposure" drew from some of its more wholesome elements. Nothing too suspenseful or weird happened, but that was the point. Like "Twin Peaks," "Northern Exposure" was about the characters' relatively small lives. 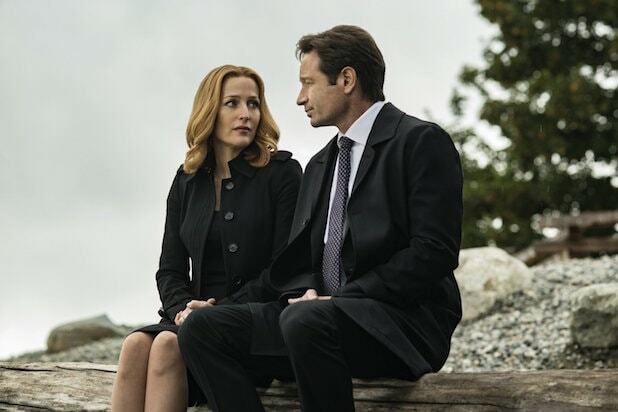 "The X-Files"Fox's sci-fi series is not exactly like "Twin Peaks," but it's hard to imagine that this show about FBI agents investigating weird crimes (sound familiar) would've gotten made without it. "Six Feet Under"HBO's funeral home drama was more straight up comical than "Twin Peaks" ever was, but both shows attempted to explore death and the surreal aspects of life with a form of lightness. "Twin Peaks" was more supernatural-based (sometimes), but both wanted to say something new in regards to those topics, and it spoke to fans. "Veronica Mars"For some reason in the early 2000s, we got a slew of series that were essentially "Twin Peaks" but for a teen audience. "Veronica Mars" had a similar premise -- a teen girl is murdered and somebody has to figure out who did it. It's just in this case, we get to see Kristen Bell, a high school student, solving crimes. "Pretty Little Liars"This is another of one of those 2000s murder teen dramas. Based on a popular book series, "Pretty Little Liars" follows four girls who are drawn together after they all get messages from the mysterious "A," who knows about the murder of their friend Alison and all their secrets. The violent mystery element ties it to "Twin Peaks," but the suburban drama and camp makes it fresh. "The Killing"Both the Danish series and the U.S. series draw from quite a few "Twin Peaks" elements: small town murder, teen murder, a deep dive into the intimate lives of the characters. But the U.S. one feels particularly inspired, since it takes place in a world like our own, but one that's just slightly off. It made for great cinematic, narrative TV. "Gravity Falls"It's weird to see a Disney Channel cartoon on here but I can't talk to this show up enough for fans of "Twin Peaks." Twins Mabel and Dipper Pines move to the town of Gravity Falls and soon discover not everything is as it seems. There are town conspiracies, supernatural demons, humor, horror, and plenty of actual "Twin Peaks" references. 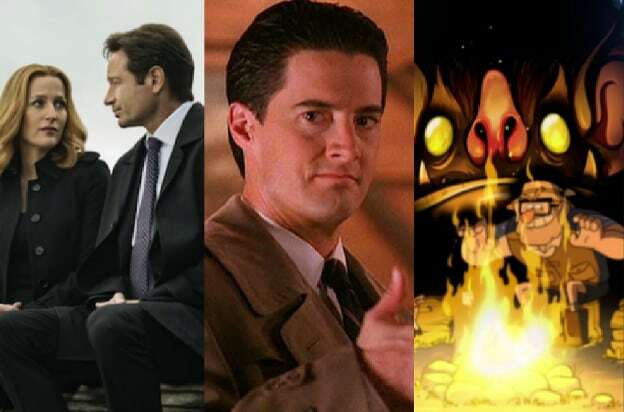 Be sure to watch out for the Kyle Maclachlan cameo in the series finale. "Les Revenants"This is gothic, supernatural suspense at its finest. This French drama series (which was adapted to U.S. television with less than stellar results) depicts a town where the dead suddenly return alive. It's a small town drama, supernatural mystery, and character story all rolled into one. "Hannibal"The books NBC's "Hannibal" show were based on came out before or around the same time as "Twin Peaks," but Bryan Fuller's takes it in a whole other direction. "Hannibal" is less about the story and author Thomas Harris' obsession with serial killers and focuses more on psychology and symbolism. Take a look at any of the dream/fantasy sequences and note how any of them would fit right at home with David Lynch. "Broadchurch"/"Gracepoint"ITV's "Broadchurch," along with its American adaptation "Gracepoint" on Fox (both starring David Tennant) are basically the same show so we can lump them here. Two detectives -- one local and another trying to start over -- investigate a murder in a tiny town by the sea. Yes, trying to solve the murder is an integral aspect of the series, but how everybody in the town treats each other post-murder is ultimately more satisfying and engrossing. "True Detective"Like "Hannibal," and obviously "Twin Peaks," HBO's "True Detective" is obsessed with its aesthetic and mythology. It's not so much about the story as it is about the character journeys and the lofty dialogue. That was the case in Season 1 anyway. We don't talk about Season 2. "Wayward Pines"The early trailers for "Wayward Pines" were almost too familiar to fans of "Twin Peaks," but the show was able to distance itself for being less welcoming to its government agent protagonist, at least in Season 1. It's a lot darker, more hopeless, and probably the most egregious imitator on this list. "Stranger Things"Netflix's hit takes more from Stephen King and Steven Spielberg, but those creators have a lot in common with Lynch in what fascinates them. King especially loves exploring small town life affected by supernatural events, and the violence that can tear people apart. "Stranger Things" is a story about kids in the middle of a traumatic event and, unlike "Twin Peaks," the central victim doesn't end up dead. Others aren't so lucky. "Riverdale"All you have to do is swap out a couple of key elements. Instead of Jason Blossom, it's Laura Palmer. Instead of Archie, Jughead, Betty, and Veronica, it's Donna, James, and Audrey. Also like "Twin Peaks," I hope it's not going to ultimately be about who killed Jason, but instead continues to keep the focus on its characters.